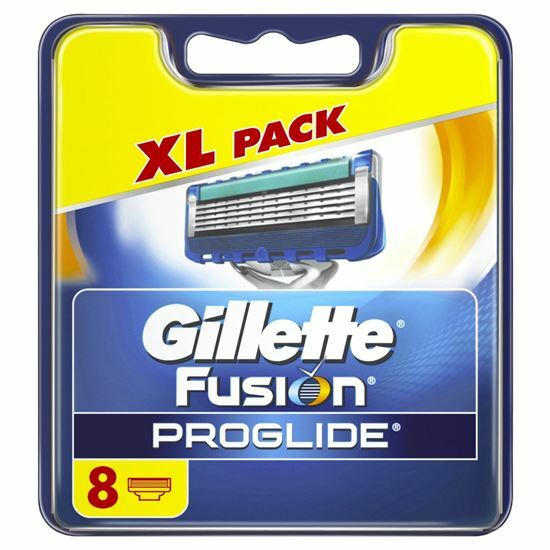 Gillette Fusion Proglide Razor Blades - The thinner, finer edges of Gillette Fusion ProGlide blades are made with an advanced Low-Resistance coating. They cut effortlessly through hair with less tug and pull. Designed to work with power and precision, the thinner, finer edges of Gillette Fusion ProGlide blades are made with an advanced Low-Resistance coating. They cut effortlessly through hair with less tug and pull. The Blade Stabilizer maintains optimal blade spacing for comfort; the trimmer includes enhanced blade, comb guard, and rinse-through slots.